In modern medicine, IVF has helped millions of couples in achieving their parenting dreams, however pregnancy success rate remains low, about 35 percent for women ages 35 to 40, and about 20 percent for those ages 40 and older. Thus, more and more patients are turning to alternative medicine for help, and the management of infertility using acupuncture has become an expanding area of practice in the medical world. In Chinese culture, acupuncture has used acupuncture for thousands of years to treat a variety of medical conditions, including infertility. Acupuncture treatment theory is based mainly on human meridians, where the most important life force “Qi” exists. Stimulation on the specific acupuncture points seek to regulate and release the flow of the body’s vital energy “Qi”. This in turn improves the blood flow through the body and stimulates organ function in order to restore an internal balance. Restoration of the body’s internal balance helps to increase natural fertility and increase the success rates of IVF implantation. A successful IVF pregnancy depends on a variety of factors, including the age of the couple, sperm and egg quality, endometrial lining etc. Recent research had found acupuncture a useful technique in combination with other western medical treatment in improving fertility rate. In women, acupuncture works to stimulate egg production. Acupoints are selected to relax the body and improve the blood perfusion to her reproductive organs, which will improve follicle development and enhance egg quality. Good perfusion of blood to the endometrial lining also helps with implantation of the egg. In men, acupoints are selected to restore and improve the kidney function, which is linked closely with the male reproductive system. Restoring kidney function improves blood flow, and improves sperm quality and sperm count. Acupuncture for IVF sessions done before and after embryo transfer had shown an increase in pregnancy success rate. However individual cases of acupuncture treatment during IVF need to be managed differently. IVF is not just about implantation – during the IVF process, both the embryo quality and implantation process carry the same weight in IVF success rate. For certain patients, especially those with low ovarian reserve or advanced age, acupuncture for IVF treatment should start as early as possible, i.e. preparing the body to be in its optimal state for IVF is important. 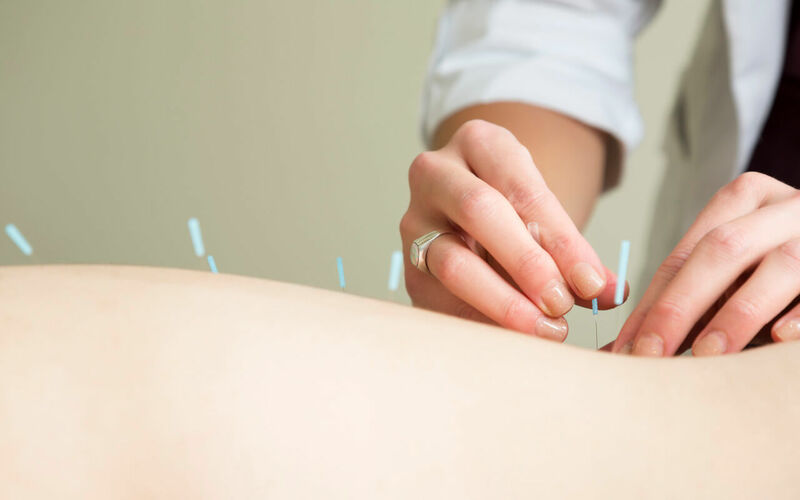 Acupuncture treatment, acupuncture does not merely involve the use of needles. Electrotherapy, heat therapy, moxibustion in combination with acupuncture would always give a better result. Electro-acupuncture is a form of acupuncture where a small electric current is passed between pairs of needles. The electric current ensures that stimulation will be consistent and stronger, and when the frequency and intensity of the impulse being delivered is increased, it’s especially helpful in cases of stagnant “Qi”. Heat therapy such as heating lamp or moxibustion are also commonly used in conjunction with acupuncture to warm the regions and meridian points. These will improve the local or general blood circulation which will induce a smoother flow of “Qi” and blood, and warm the meridians. This form of therapy is especially effective for a “cold” or “yang deficiency” body constitution. As a complementary form of fertility treatment, acupuncture is better accepted than herbs as there are no known contraindications with modern Western medicine. Moreover, acupuncture acts as a “stabiliser” during the IVF process, restoring internal balance, helping patients to improve their physical and emotional wellness. Acupuncture treatments therefore enable patients to go through the IVF journey with greater confidence, leading to higher pregnancy success rates.